All Things Christmas -- Must Go! 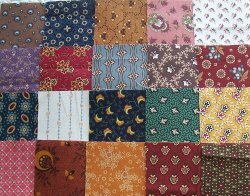 Get 35% of all kits, fabric, anything that is Christmas related (wool kits excluded). That means even the pre-cut and pre-fused kits! You're sure to find a great goodie to make while you're snowbound! Don't forget . 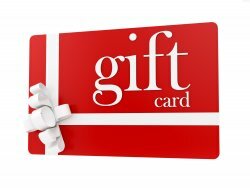 . . purchase $50 worth of Gift Cards and get a $5 gift card for yourself. Oooh, How About Something Else! Reproductions are also 20% off! There's some brand new bolts in the reproduction sale that are included. You will also get an additional 20% off the red tag bolts for a total of 50% off! We are also putting our Color Wall on sale. Need some basics and blenders? Get 20% off, including 20% off red tag bolts. Betty, Mary Marge and Lori are gonna be in TROUBLE!!!!! Don't forget . 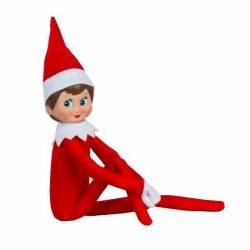 . . Find that goofy little elf and get double reward points. M-T-W-F: 10:00 a.m. to 5:00 p.m.
Th: 10:00 a.m. to 7:00 p.m. Sat: 9:00 a.m to 3:00 p.m.